With our active lifestyles and the amount of time we spend in our cars, the average car interior is easy prey for a myriad of stains and odors. Stain and odor removal is almost a science into itself. Upholstery fabrics and carpets widely vary, as do the composition of stains. However, in my experience, there is a correct method and a suitable cleaner for most car interior problems. Common upholstery fabrics are more likely to stain than vinyl or leather. To best prevent stains altogether, it is necessary to properly treat upholstery, carpet, vinyl and leather. The best treatment for carpet and fabric is a spray on fabric guard product. The Scotch Guard™ brand products are the best know, and most widely available. Other products, like 303 Hi Tech Fabric Guard, offer newer fabric protection formulas. To protect vinyl and leather, simply use your favorite cleaner and protectant on a regular basis. Some leather protectant products, like Eagle One Leather Conditioner, contain mink oil, which is excellent for protecting against stains. When the inevitable happens, and your three-year-old drops (or barfs!) his mustard-loaded hotdog on your brand new velour upholstery, stay calm, and remove as much of the spill as possible (by blotting, not wiping, with paper napkins, paper towels, etc). Then, don’t let the stain sit too long before you get to work on it. Within a day or two, most spills will set and permanently stain your upholstery or become very difficult to remove. It will only take one such incident for you to realize that a $15 investment in fabric and carpet protection is worth every penny. stains with nothing more than a neutral detergent and water A neutral detergent has a pH of 7 (on a scale of 0 to 14). A detergent with a pH less than 7 means it is acidic, whereas a pH higher than 7 is alkaline. Neutral detergents will not bleach fabric or remove fabric protection. When cleaning a stain, try detergent and water first. If this does not remove the stain, then go for a cleaner with a little more oomph! Some stains, no matter what you try, will be permanent. If an indelible stain has penetrated the fibers of a material, they will not come out. You might be able to make the stain less noticeable, but no cleaner or method will remove all of the stain. You will have to live with it or have the section of carpet or upholstery replaced. In some cases, leather and vinyl stains can be fixed by color matching the area with a leather or vinyl repair system (a job for a professional). I get a lot of questions about removing smells. The most common questions are “How do I remove the smell of cigarette smoke?” and “My child vomited, how do I get rid of the smell?” Most bad smells in cars are organic (i.e., food, urine, vomit, tobacco, grass, mold, mildew, etc.). I recently had a professional detailer tell me a client had spilled fish in his car, which I know from experience is not pleasant. As a teen I hid an open can of sardines under the seat of a neighbor’s car. They had to sell the car to get rid of the smell! 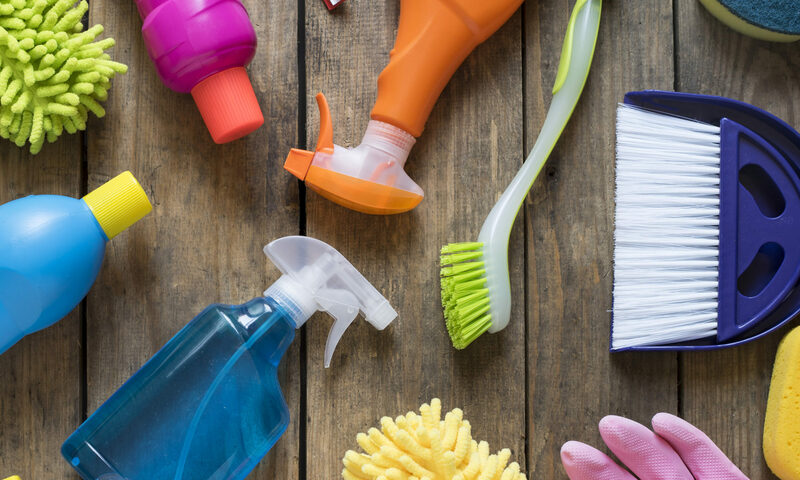 Smell problems are pretty easy to take care of with some of the new cleaners on the market. My favorite is called “Kids & Pets Brand Stain & Odor Remover,” by Paramount Chemical Specialties (www.kidsnpetsbrand.com). This cleaner, and others like it, use enzymes, a surfactant, and denatured alcohol to remove stains and kill odors. The enzymes kill odors in their tracks by stopping the organic material from decomposing. So, spray this stuff where your girlfriend just heaved her guts all over the front seat, and the mess and stain are gone. Don’t use it, and you’ll be smelling that night for a long time. Other products that also work okay for dealing with organic smells and stains include Febreze (Proter & Gamble) and FreshCare (Clorox). Tobacco smoke is one of the most difficult smells to remove from a car. The smoke permeates everything, including the foam rubber used in seat cushions. You can successfully remove most of the tobacco smell by shampooing the carpets and upholstery with Kids & Pets Brand Stain & Odor Remover, and wiping down all other surfaces with a sponge and Kids & Pets Brand Stain & Odor Remover. After the carpet has dried for 24 hours, sprinkle baking soda on the carpet, rub it in with your hands, and leave it for a week. After a week, vacuum your carpets. The baking soda will absorb the remaining odor in the carpet. Don’t forget to scrub the headliner, as this is the source of a lot of the smell.